High quality zinc die-cast with anticorrosion Powder Coat finish (Outdoor use) for Safe Power Passing Application to In-Line Cable TV and TV Antenna Amplifiers on RG6 or RG59 coaxial cable. Does not pass Satellite TV Frequencies. 5-1000 MHz Broadband CATV Cable TV Antenna Power Inserter with one Port Power passive (passes DC Power in one direction only). Grounding Block Attached, series uses tongue & groove cases for 130 dB RF shielding. I like the Powder Coat as it is Weather resistant. The Die Cast Housing is hardy, and It mounts well. 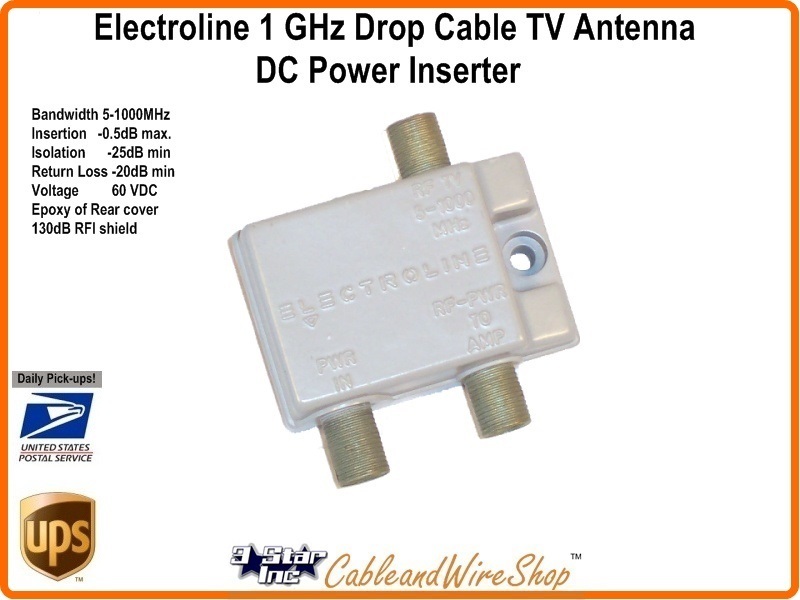 Safely Pass DC Voltage and Current in One Direction for Supplying Same to In-Line Amps and LNB's as Necessary. Proper Feed Directionality and System Grounding assures Protection for the Very Expensive Equipment that goes to make up your System. Make Certain that all Connections are Proper BEFORE Turning System Equipment on!